Background: He was not supposed to be the main man. That was supposed to be Gary Cuozzo. The two actually battled for the starting job and Cuozzo got most of the starts (10-of-14 games) for the expansion New Orleans Saints in 1967. By 1968, Kilmer had beaten him out, Cuozzo was gone to Minnesota and Kilmer was the unquestioned leader of the early Saints. While the Saints lacked success and Kilmer’s numbers were ordinary, he was the symbol of the early Saints, a leader, a tough guy, a stand up guy and a guy known to enjoy the city and its offerings. He fit New Orleans very well. It would have been interesting to see how Kilmer would have fared with better players around him. Of course, we know the answer, based on the way he played in leading the Washington Redskins to a Super Bowl appearance. Kilmer took a lot of hits but he kept on ticking in New Orleans, throwing 47 touchdown passes. 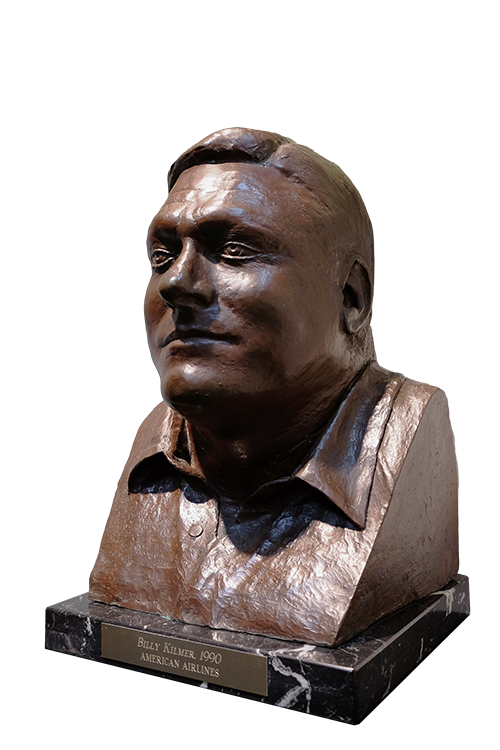 He was an inspiration to many, remembered as the first quarterback of the New Orleans Saints... 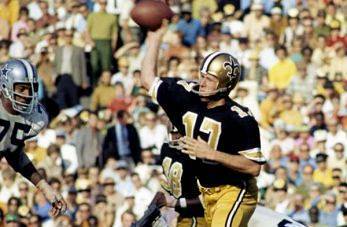 Greatest Moment: Kilmer and the Saints had a watershed game in St. Louis on Nov. 2, 1969. Kilmer outdueled Charley Johnson in a 51-42 track meet at Busch Stadium. Kilmer threw six touchdown passes, completing 22-of-35 passes for 345 yards and had a quarterback rating of 130.9. His 13-yard touchdown pass to Dave Parks early in the fourth quarter was his sixth of the game, the crowning moment to a crowning achievement. The six touchdown passes remained a franchise record until Drew Brees tied it against Detroit in 2009 and broke the record with seven touchdown passes in a 52-49 win over the Giants on Nov. 1, 2015... Honors: Kilmer was inducted into the Saints Hall of Fame in 1990. He earned Pro Bowl honors with the Redskins in 1972.